Solitary confinement has been practiced in Canada for decades, but due to a recent decision from the Supreme Court of B.C. it will soon be illegal to do so. On Jan. 17, the B.C. Supreme Court made a historic ruling by ending solitary confinement in Canadian prisons. The government will have a 12-month period to implement this law before solitary confinement is declared unconstitutional. Until then, prisoners already being kept in solitary confinement will have to remain there. Prisoners under these conditions are alone for 23 hours a day, spending one hour outside of their cells. 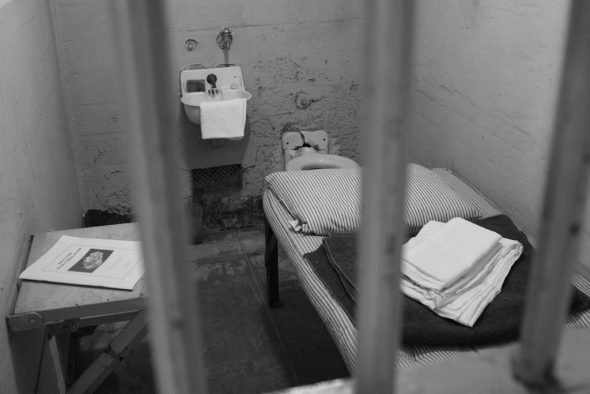 The practice of solitary confinement is intended to be a disciplinary action in the correctional system, but Salehah Hakik, the president of KPU’s Prison Justice Club, says that it is closer to an act of torture. She believes that it is inhumane, and a violation of Section 7 of the Canadian Charter of Rights and Freedoms. Hakik says that solitary confinement also goes against some of the rules listed in The Criminal Code of Canada. Alana Abramson, a faculty member in KPU’s Criminology department, says that there needs to be a well-developed strategy that will help solve these complex issues. Abramson says it’s hard to imagine, but some inmates request being put into solitary confinement for their own protection. Either they’ve accumulated debts in prison, they’ve been threatened, or they simply want a break from the uncomfortable environment they’re a part of. According to her, there’s a lot of work to do in order to make sure that prisons aren’t places of oppression. Abramson and Hakik agree that Correctional Service Canada needs to invest in more resources for prisons. Hakik adds that the prisons may try to rehabilitate inmates, but if they’re being locked up in a room for 23 hours in a day, they will not be rehabilitated. Instead, they may come out of prison in a worse condition because they didn’t receive proper help while incarcerated. Still, she worries that there will be inmates who will take advantage of the new legislation. Without the threat or option of being put into solitary confinement, some inmates may begin to misbehave, and those who sought refuge in being isolated will no longer be able to do so. Though solitary confinement will soon be unconstitutional, Hakik says that Correctional Service Canada will most likely create another variation of solitary confinement under a different name. “They will never eradicate the whole issue,” says Hakik.